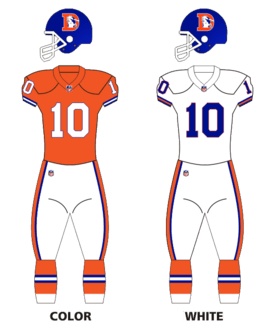 The 1995 Denver Broncos season was the team's 36th year in professional football and its 26th with the National Football League. The season would be noted as a turning point for the franchise, as being the first year that Mike Shanahan would be head coach, and that would include the drafting of future 2,000 yard rusher and Super Bowl MVP Terrell Davis. ↑ "1995 Denver Broncos starters and roster". Pro-Football-Reference.com. Retrieved November 20, 2014.